The incoming “same-day” transaction rule is intended to give businesses and consumers greater flexibility to manage their financial transactions, especially in those circumstances where late payment fees can be exorbitant. By modernizing payment systems and bringing them up-to-date with technological advances, these new processes will also create opportunities for innovative financial products and services. Getting ready for the expedited activity, however, requires diligence in establishing systems that are fully prepared to launch at 12:01am Friday, September 23, 2016. The three phases ease in over the course of 18 months. Phase One moves only credit entries to same-day eligibility. The focus of this phase is to expedite funds transfers for various employment and consumer obligations. A same-day payroll option will allow businesses to immediately pay their hourly workers and correct missed deadlines while also giving their employees faster access to their wages. Faster settlements of corporate invoices will improve cash flow for vendors. Bill payments that are initiated on a due date will settle on that due date and avoid a late fee. Even account-to-account transfers will move faster, giving consumers more control over their money. Phase Two introduces debit entries to the system. It launches September 15, 2017. Phase Three, which launches March 16, 2018, will require RDFIs to provide funds availability for credit entries by 5pm on the day of initiation. The biggest change will be seen in the volume of transactions processed each day. Instead of a single settlement window, there will be three: morning settlements submitted before 10:30am EST will settle by 1:00pm EST that same day; afternoon submissions before 3:00pm EST will be settled by 5:00pm EST that same day; the existing clearing window (submissions before 2:30am EST settling at 8:30am [credits] and 11:00am EST [debits]) remains in place. While ODFIs can elect to opt-out of the new system (by not offering same-day available financial products or services), RDFI involvement in the new system is required. On start day, every RDFI must be capable of receiving the same-day transfers and, at the same time, provide faster funds availability to their customers. 1. Ensure all staff members are educated on the new Same Day ACH (SDA) processing timelines. 3. Initiating contacts and collaborations with ACH Operators, processors, vendors, and Third-Party Service Providers should begin sooner rather than later. Partners within the enterprise/ACH network will need to coordinate their actions to ensure seamless transfers throughout each transaction. Best practices would suggest development and implementation of a coordinated plan among all ACH partners, with cross testing of applications throughout the organization. 4. Review and revise existing policies and procedures. Current practices for returns, NSF issues, exceptions, and Notices of Change will all require alterations to reflect the new rule. Policies must change to reflect the new time frames, and accompanying procedures must be developed so that policy implementation is uniform and consistent. Once business practices are updated within each ACH partner company, the entire network system should be tested for timeliness, accuracy, and compliance. As the new rule comes into operation, unexpected transactions and activities can indicate new or differing levels of risk. As the system matures, the identification of new risks will require modification of existing risk assessment and mitigation practices. 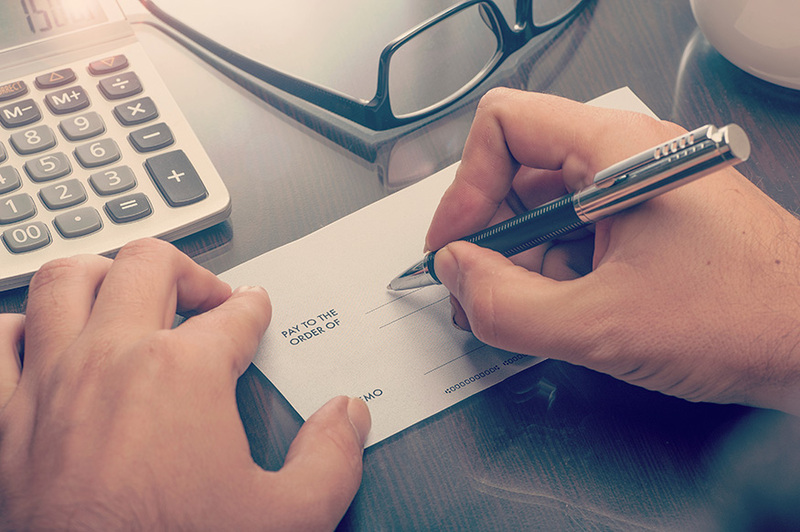 To compensate RDFIs for the additional work required by the new rule, ODFIs will be required to pay RDFIs a same-day fee of 5.2¢ per transaction.